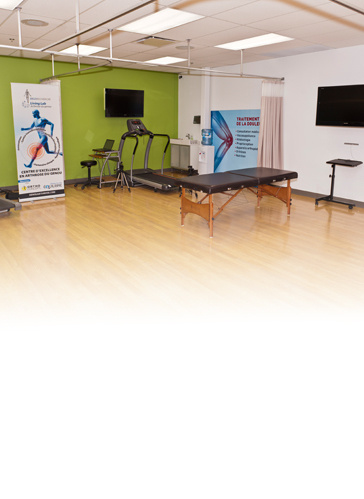 The Ergoresearch approach is unique: Rooted in innovation and research, it maintains an avant-garde position in the world of orthopedics. The company has the advantage of developing its own technologies in a rigorous clinical setting where patient benefits are the core preoccupation of our entire team. To ensure the evolution of proposed solutions, a comprehensive research and development program also supports the Living Lab initiative. Today Ergoresearch devotes more to investments, research and development than the majority of its competitors. The company puts to task the expertise of engineers, research scientists and healthcare professionals at its Living Lab in Laval, QC. Thanks to a network of partnerships comprised of universities, small and mid-sized businesses and industrial groups, at Ergoresearch innovation is found at every echelon: Products, services and marketing. Ergoresearch’s approach relies on a network of partnerships extended to forward-looking universities, industrial groups and small and mid-sized businesses. These partnerships allow top technologies gleaned from other sectors to be integrated into its assorted areas of operation. Collaborations with le Centre de solutions technologiques en orthèses et prothèses (CSTOP), affiliated to Collège Mérici in Quebec City, with le Centre d’excellence des technologies textiles in Saint-Hyacinthe (CCT), the National Research Council of Canada (NRCC), the Natural Sciences and Engineering Research Councils of Canada (NSERC), Université Laval in Quebec City and Université du Québec in Montreal are but a few examples.